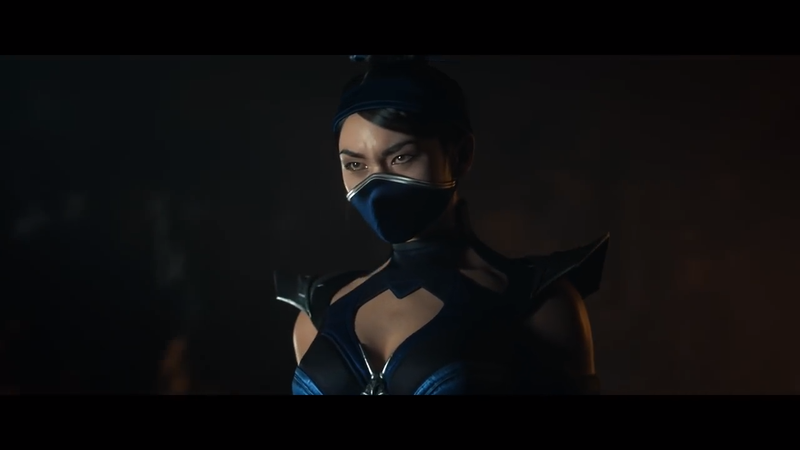 Kitana will be coming to Mortal Kombat 11, as confirmed in this new TV commercial for the game. It looks like Kitana is the latest classic Mortal Kombat character to be added to the Mortal Kombat 11 roster, much to the delight of fans. A new TV spot debuted by Warner Bros. Interactive Entertainment and NetherRealm Studios revealed a striking new Mortal Kombat 11 trailer with some interesting effects that play out during the clip. It's based on the concept that we all have a fighter inside that "pushes us to fight for what we believe in." Some of us apparently have Kitana inside. The clip shows off Sub-Zero's icy powers, Raiden's formidable lightning, and Kitana's iconic steel fans. Kitana is the 10,000-year-old princess of Edenia who grew up believing she was actually Shao Kahn's daughter. As such, she fought valiantly for him until she learned the truth. After that, all bets were off: she fought against his Earthrealm takeover and perished in battle. But that wasn't it for the warrior. She was brought back to life as an evil revenant version of herself, and now rules the Netherrealm with Liu Kang himself, as the pair work toward the total destruction of all realms. This clip gives you a glimpse at Kitana's moves, but there's a new Kombat Kast this week coming with an in-depth walkthrough of her combos and fighting ability that you can tune into to learn more about her for Mortal Kombat 11. Kitana is just the latest kombatant to be added to the game, though - there are lots of other fighters listed on the Mortal Kombat 11 roster right now, including Liu Kang and Jax Briggs, all with some totally gruesome Fatalities and other moves. For more information on Mortal Kombat 11 and everything it has to offer, check out our Mortal Kombat 11 hub. Don't forget to pick the game up when it debuts on April 23, 2019 on Xbox One, PlayStation 4, PC, and Nintendo Switch.